It seems that Crown Resorts is changing up its game plan in an attempt to lure in Millennials. 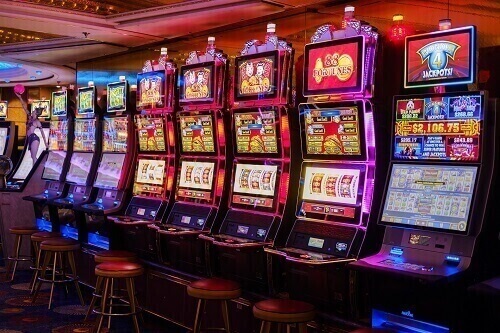 This comes after it was recently revealed that a slot machine operator was working with Victorian gambling regulators to bring skill-based pokies into the country. The new machines will supposedly be tested at Crown Casino Melbourne on a trial run, despite many industry researchers and authorities warning that not enough research with regards to potential harm. Skill-based pokies introduce new elements into the gambling experience, which sees a player’s chances of winning increase or decrease based on their level of skill. These games could focus on aspects such as speed or hand-eye coordination. They can also be played with one or multiple players – very much like popular video games. Skill-based pokie games were first introduced to the casino industry two years ago when they were displayed at the 2016 Global Gaming Expo in Las Vegas. Some Australian state gambling regulators believe that due to these machines only being in existence for two years, there has not been enough time to examine the potential risks they may introduce to the community. Thus far, neither Wymac or Crown Resorts – the two parties involved in bringing these types of games to Australia – have not commented on these concerns. It should really come as no surprise that Crown Resorts and other major casino operators around the country are looking into new ways in which to draw Millennials to their establishments. Global industry reports and studies suggest that casino groups around the world (including Australia) have been lamenting the fact that there has been a sharp decline in younger visitors. This has, in turn, led to industry leaders looking for games that fit the needs of younger gamblers. Crown Resorts is not the first to explore the idea of skill-based gambling, which is closer to playing a video game than a pokie machine. Several high-profile casinos in Las Vegas and Atlantic City already offer such games to visitors. Whether or not these machines will prove to lure Millennials to casinos remains to be seen. One thing is for sure though; you can be sure we here at Pokies.com will be providing you with all the significant developments in this story.